The following is a release from Joëlle Numainville through an interview with Sportcom. Optum-Kelly Benefit Strategies has not made an announcement at this time. 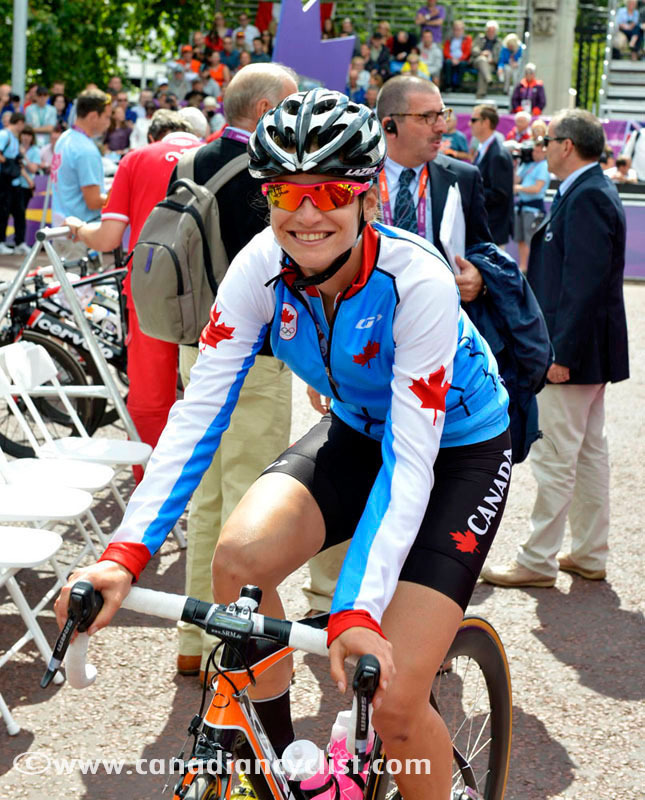 Former national champion Joëlle Numainville has announced that she has left the American squad Optum-Kelly Benefit Strategies to join the Belgian team Lotto-Belisol, effective immediately. "It's a new chapter! I am going there to perform and help the team win the biggest races. I come to a team that can support me until the next Olympics," said Numainville. August 1st is the date on which cyclists could start negotiations with professional teams to sign a contract for the 2015 season, however, it is rare that an athlete immediately changes team during a season. At Lotto-Belisol Numainville replace British rider Emma Pooley, who announced her retirement after the Commonwealth Games last month. "The team (Optum-Kelly Benefit Strategies) had decided not to let me race for the rest of the season and the people of Lotto-Belisol were ready for me, so it was my business. I'm really happy and it saves my season!" Numainville crashed in the Spring 2013, but its aftermath has thwarted the competition plans of the Laval rider during the past year and a half. It was not until months after the fall that the diagnosis of concussion was made at at the end of last year. "It took me so long to get over it and I never thought it would have taken that long! I should not return to competition by being 95% of my ability, but at my full 100%. I realized that my career is hanging by a thread and it made me think. If the doctors had not given me the "green light", it's clear that I was not coming back [to competition]". During this long process of rehabilitation, Numainville has indicated publicly that she did not like the way her former team had managed her return to competition and lack of racing opportunities. "I do not know [the reason for the lack of racing] and I want to turn the page. Yes, I think [there could have been] had more support from them after my concussion. The termination of our agreement was still done correctly. " The arrival of Numainville at Lotto-Belisol at mark a return to Europe, who previously rode for the French team ESGL-GSD Gestion. 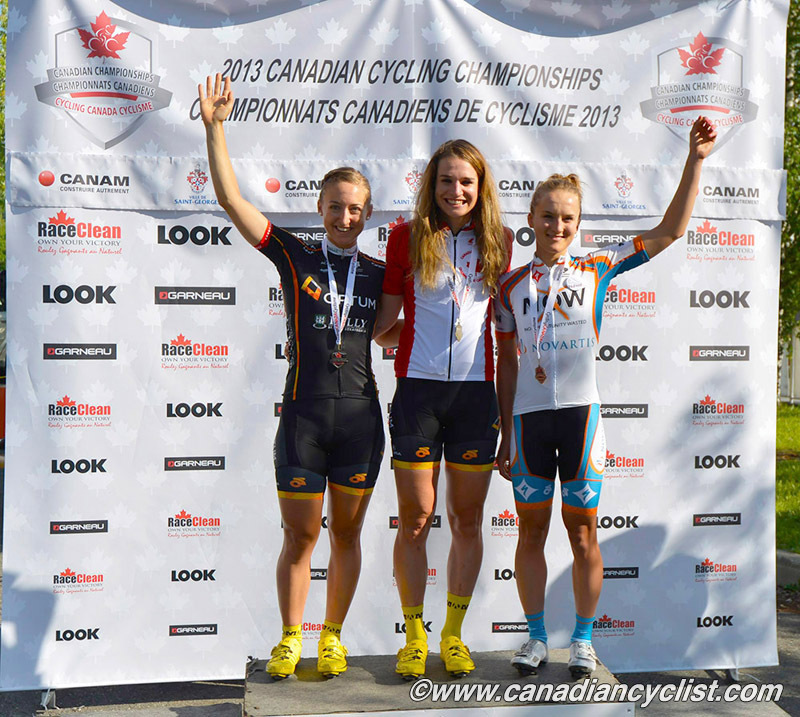 This opportunity is more than welcome for Numainville, because the last two years the Canadian national team no longer offers the opportunity to the best female athletes to participate in the stages of the World Cup, such as the 2012 project with the national team at the Tour of Flanders where Numainville was third. "Previously, I could ride for an American team and do European projects with the Canadian team, but now it was no longer possible," suggesting that Numainville was already planning a return to Europe for 2015. The first European competitions for Joëlle Numainville will be the Trophée d'Or and the Grand Prix de Plouay, a final round of World Cup.